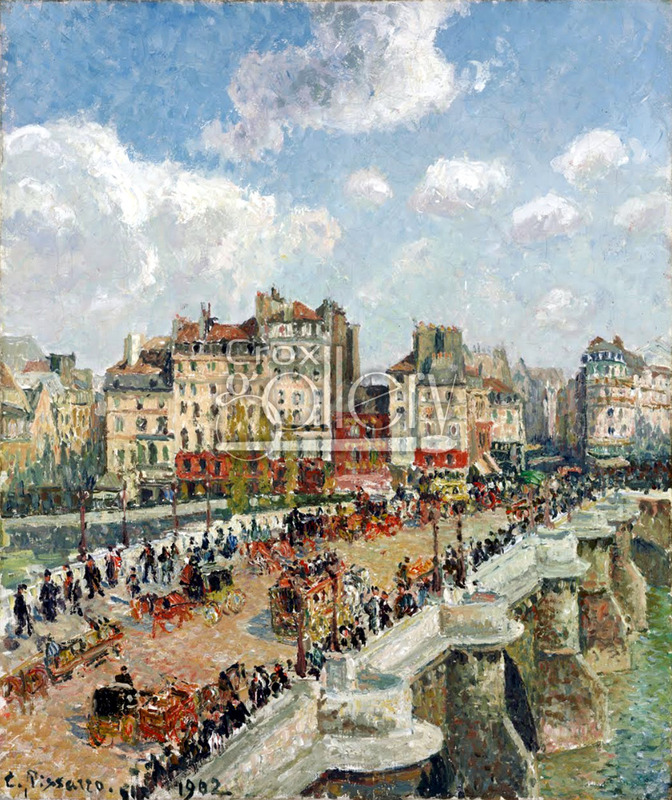 "Le Pont Neuf" by Pissarro, oil-on-canvas reproduction. 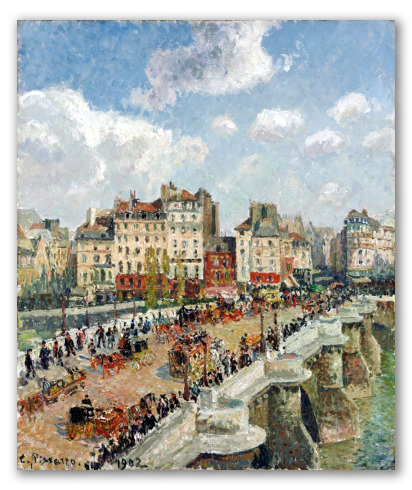 "Pont Neuf", oil-on-canvas, painted by Camille Pissaro in 1902. This landscape was painted from the window of an apartment at Place Dauphine nº 28, whose view inspired the paintor, as he himself recounted in a letter to his nephew Lucien. The theme of the urban Parisian landscape is quite recurrent in Pissarro: during his career he completed various paintings of this very same bridge from different angles and with different lighting variations. "Pont Neuf" is currently displayed in the Museum of Fine Arts, Budapest, Hungary. Original size: 55,3 x 46,5 cm.